For years, troops training with 40 mm grenade launchers who needed to fire alongside mounted or dismounted troops on the move couldn’t safely move toward the area where they were firing. That’s not very realistic when in combat, where “close with and destroy the enemy” means moving. 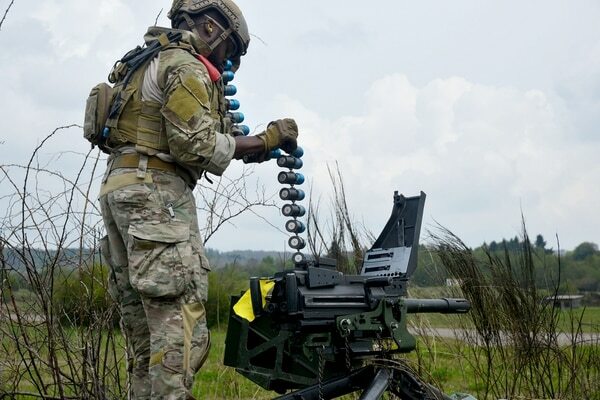 But improved 40 mm training rounds, both for crew-served weapons and individual grenade launchers, have passed tests and are nearly ready for production, developers at the Army’s Program Executive Office-Ammunition said. “The current training round presents a safety risk because it contains a fuse and energetics. If it doesn’t initiate downrange, and then an advancing soldier steps on it, he could be injured,” said Christopher Seacord, product director for medium caliber ammunition. “Typically, soldiers can’t conduct fire and maneuver training due to the safety risks. What we would like to do is remove the energetic from the cartridge so that even if it did not function downrange, and someone stepped on it or picked it up, it would not hurt them,” Seacord said. Entering initial production rate with further testing needed means that the rounds will likely be fielded by August 2019, said Michael O’Grady, the project manager for 40 mm Day/Night/Thermal development at Picatinny Arsenal, New Jersey. Two types of 40 mm training rounds are being redesigned. One is LV or low velocity, while the other is HV or high velocity. The LV rounds are for individual firing, such as in the M320 grenade launcher, while the HV rounds are used in crew-served weapons such as the Mk19 Grenade Machine Gun. 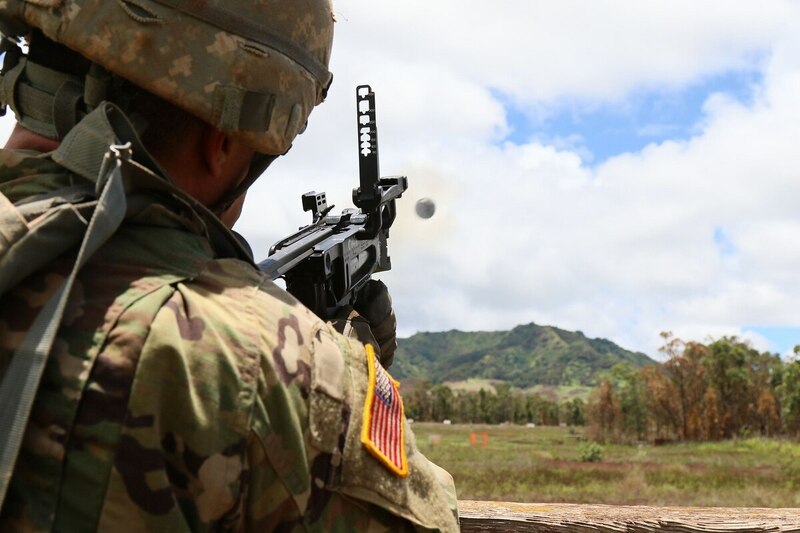 The new HV rounds reduce the parts needed from 39 to 10 and are expected to save the Army $4 per round or an estimated $8 million for the total ammunition stock. Instead of a fuse, researchers have filled the capsule with a more stable material that replaces the current explosive, propellant or pyrotechnic. The LV round will be produced by General Dynamics, and the HV round will be produced by American Ordnance. Researchers with the Army’s Armament Research, Development and Engineering Center and Army Contracting Command concluded the 21-month engineering of the new rounds this past summer, officials said. One area still being researched is making the LV round usable for night operations. Currently the round emits an orange smoke once detonated to provide an indicator for dismounted troops. The HV round can be seen with night vision devices. Both rounds produce a reduced flash-bang like live rounds used in combat. Live tactical rounds cost $50 to $60 a piece, while training rounds cost about $7 each, officials said.